I loved the variety in last night’s room reveals. Whether good, bad or ugly, they were all pretty unique. There wasn’t much shock factor in the judging though, with the same couples coming first and last as last week! While Dean and Shay took home a sweet 10 grand again (got to pay for that 40 grand bathroom somehow! ), poor Luke and Ebony were in fifth place yet again. I’m really feeling for the second chance siblings and really hope they can get some confidence in their ability and personal style and take things up a notch next week. Fingers crossed. I think these two are really likeable, don’t you? They’re doing so well and must be frustrating (if encouraging!) to be so close behind Dean and Shay and their $10,000 wins! 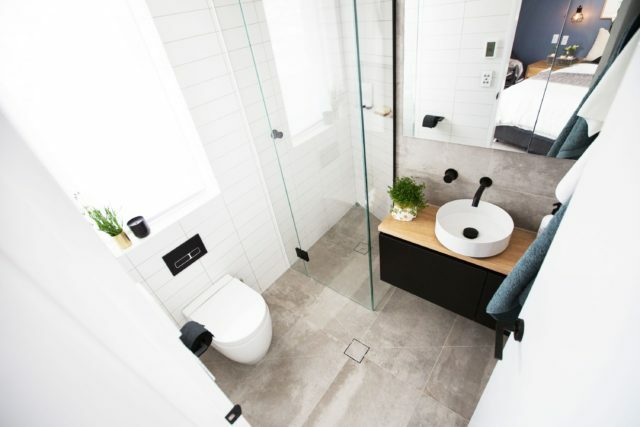 This pair stayed consistent with last week’s room, using a vinyl wrap on the en suite door like they did on last week’s showstopping bath tub. 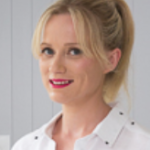 And there was more of Kingi’s lovely rendering on the bedroom feature wall and in the en suite vanity top, to great effect. Their raw industrial aesthetic is very obvious and they seem confident of their personal style. The judges, as hoped, all touched the rendered wall as soon as they came in and all loved the dark, rich colour. 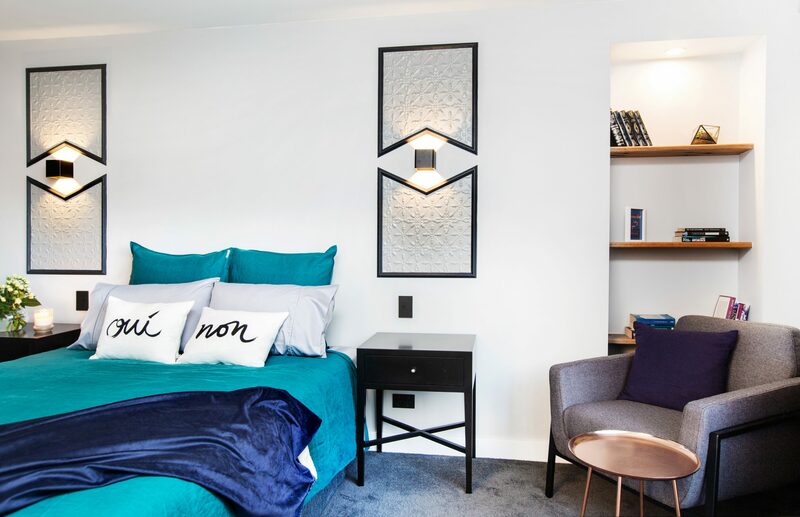 Neale loved the bedside table and light combination and Darren said he could really see the vibe they were going for: edgy, urban and a little bit industrial. He said the bedhead was the right choice as it softened the texture of render and the tram graphic on the en suite door worked a treat. 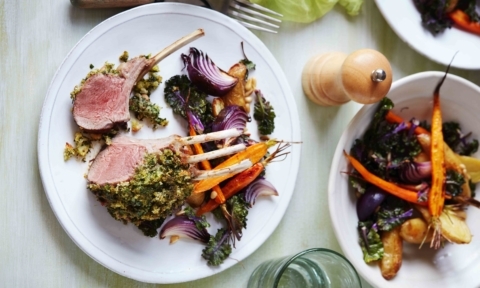 Shaynna said it was sensational and that the door handle spelled luxury and money. 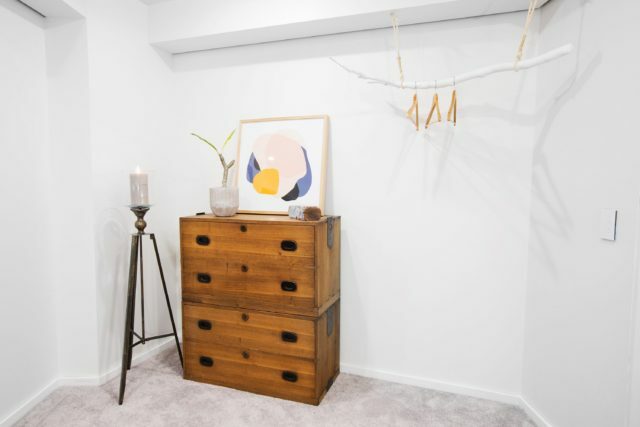 Shaynna also complimented the labour and the way they had worked with angles of the room. Neale said they’d made the most of the space and it felt big. They all slammed the styling though and said the cushions were ordinary. 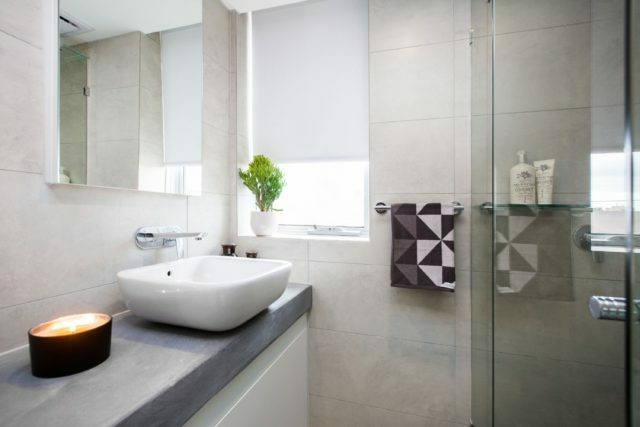 The en suite got positive feedback too with Shaynna noting it felt a lot bigger than it was and she loved the custom concrete top, the taps, basin and bench space. 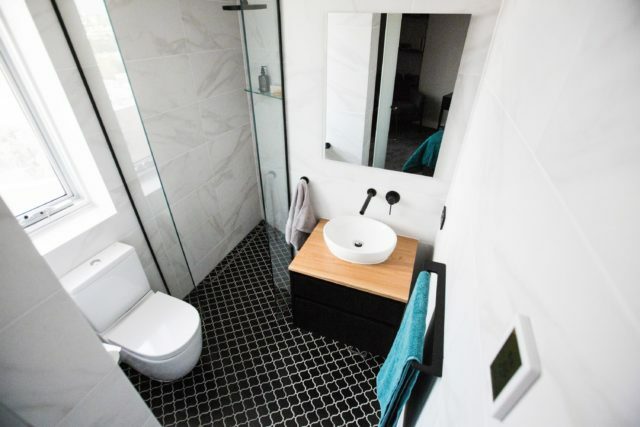 Darren said they’d squeezed more storage into the tiny bathroom than they’d seen in many main bathrooms and that it was a very successful room. I loved the exposed whitewashed brick and the copper pendants in this room. The less said about the rest of it the better but I can’t not mention that rug?! Gah! On entering, Neale said “wow” and Shaynna said “oooh” but not necessarily for the right reasons! Darren immediately said it was a guest bedroom because there was no way there was enough hanging space for a ‘real’ bedroom. 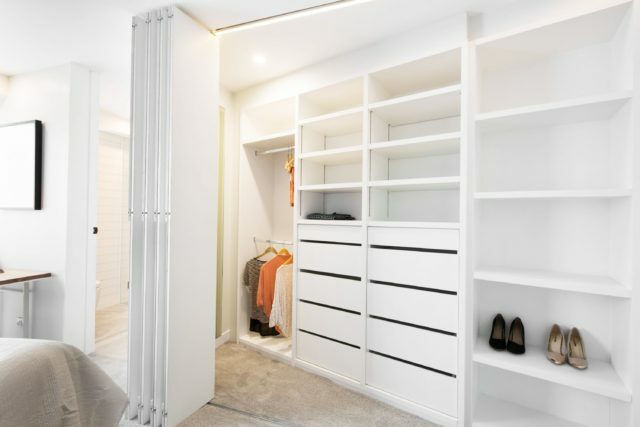 Shaynna went so far as to say the choice to install a hanging stick rather than a wardrobe was ludicrous and while that would usually seem over the top, I have to agree! Neale said it was a big mistake and Darren said he wouldn’t try to sell the place without a wardrobe. On the side, the room felt very spacious (that’ll be the lack of wardrobe!) and Shaynna liked the bulkhead all the way round, saying it showed the thought process was great. Darren liked the bedhead but said the rug was very wrong. Again, agreed! Neale said it was a very confused room. 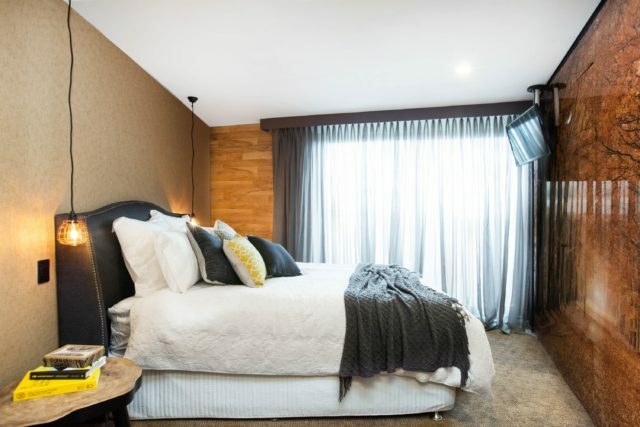 “I don’t know if I’m in an old motel or a luxury apartment.” Shaynna went one further and called it a mishmash. 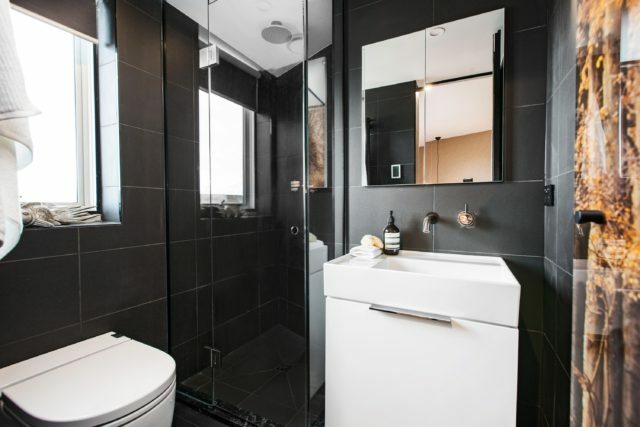 When it came to the en suite they were pleasantly surprised although the lack of doors would surely lead to flooding the first time the shower was used. Darren said it felt a little eighties. Overall, the judges’ advice was to put this week’s rooms behind them and refocus. Owch. 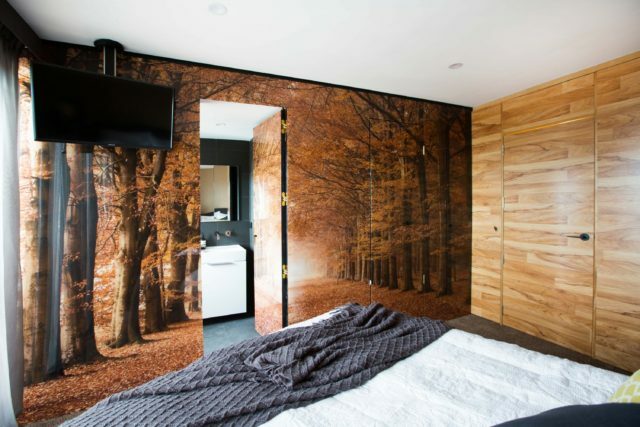 Despite all manner of tradie troubles, the Gold Coast girls finished their room as they’d hoped this week, with its polarising glass panels covered in a photographic park scene. It was a brave move which was never going to be popular with everyone! I wasn’t a fan myself but you know what, at least it was original! First up with his view was Neale, who said the other half of the room was 10 out of 10 but the glass panels freaked him out. 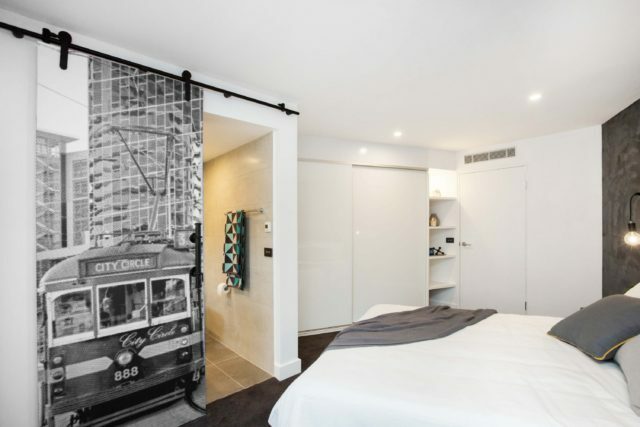 Shaynna said the provincial look of the room didn’t go with the glass mural at all, likening it to a corporate mural in a reception centre. Eek! She also hated the plastic timber on the wall, the carpet and the mismatched handles. Darren however really loved all of it. 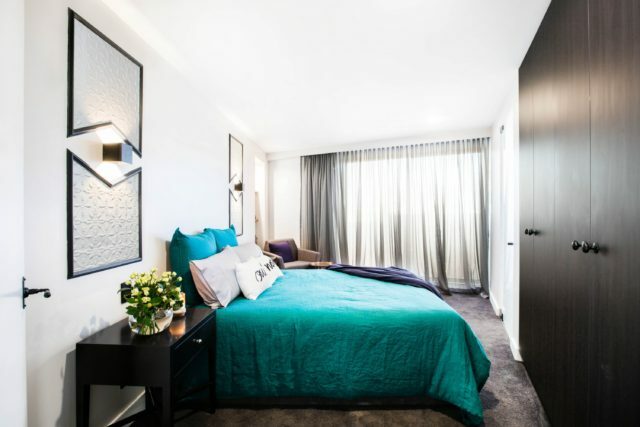 “I think it’s cool, as a guest bedroom it’s interesting.” He said the girls’ apartment would definitely be the Palazzo Versace of the building! Neale said the en suite was lacking in impact but he was relieved! Darren said it was very understated and they all loved the tapware and the layout. Darren was really surprised and disappointed about the unflattering lighting. Shaynna, to be fair, said she enjoyed how brave this pair are but they they needed to really rein it in a bit. Last place last week and last place again this week. My interview with Ebony from before the series started is now starting to make a lot of sense. 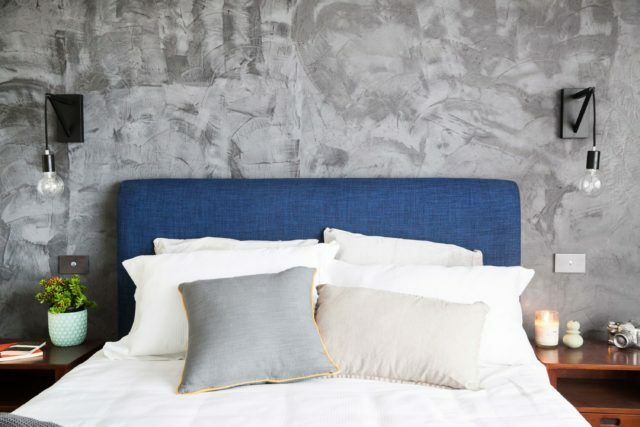 Despite reining in her plans for an entire feature wall of plum coloured pressed tin (what was she thinking?!) to two small panels, it still didn’t quite work out. Ok, that’s an understatement. I felt so sad for Ebony at the end after the scores were revealed. She’s so nice! 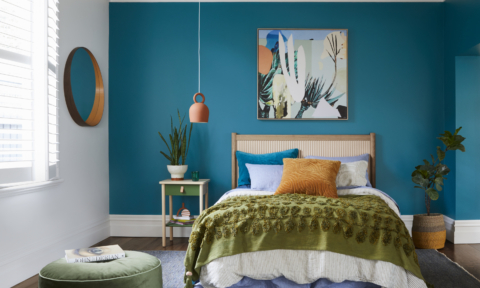 Neale said he couldn’t imagine why anyone would choose to use that material and while he loved the reading corner in the room, it didn’t go with anything else. Shaynna loved the bedside tables but I fear she may have been grasping at straws. It didn’t get all that much better in the en suite. 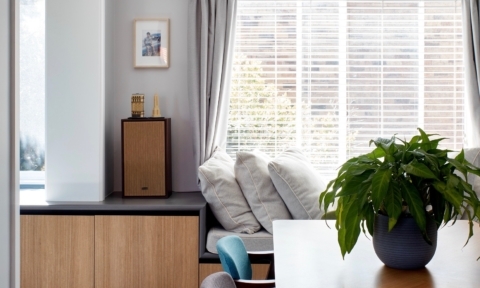 It started well with Shaynna praising the layout and Darren, the lighting, underfloor heating and storage. Neale loved the black tapware and said the execution was excellent. But they all agreed the tile choices felt dated (I happened to love that floor if not the wall tiles!). 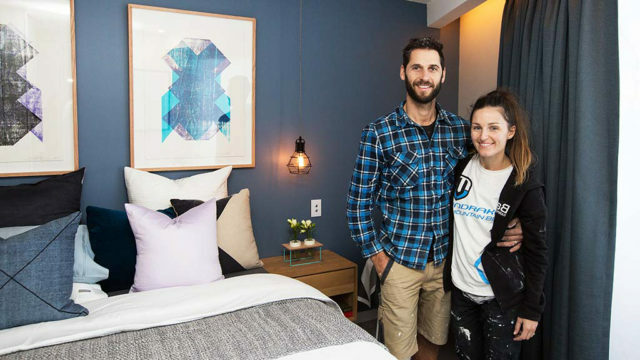 Shaynna said the siblings were not bringing out their best at the moment and Neale didn’t hold back, saying he didn’t think the room would appeal to anyone. These two lived up to their penthouse again this week, winning $10,000 for the second time in a row! It must be really hard for the other couples to keep liking them at this point, even though they do genuinely all seem quite friendly! 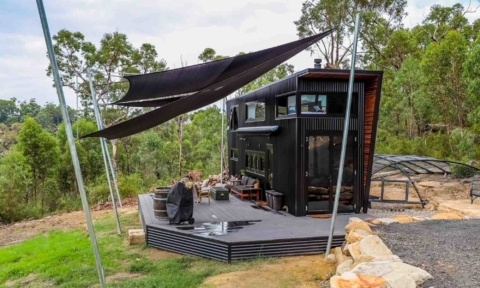 Despite their plan for a Megan Morton x Incy Design black four-poster bed bein replaced with a backup ensemble, they still killed it! 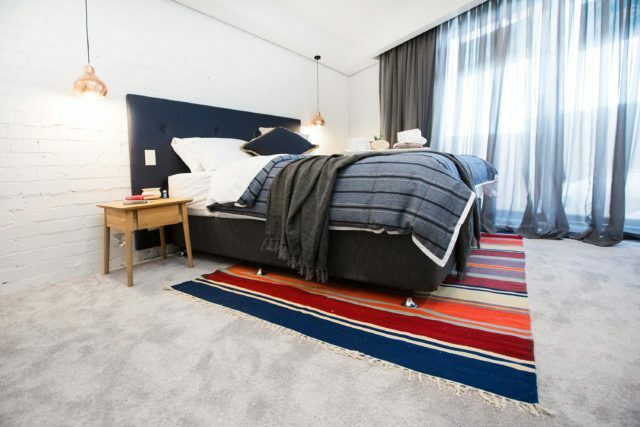 Neale said it felt really fresh and Darren loved it, pointing out the bed dressing, saying it wasn’t easy and they’d got it perfect. 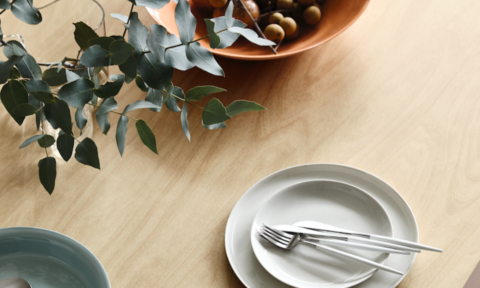 Neale said the colour palette was beautiful; a young style delivered in grown up way. The only issue was the large (tick!) wardrobe which was hard to open. 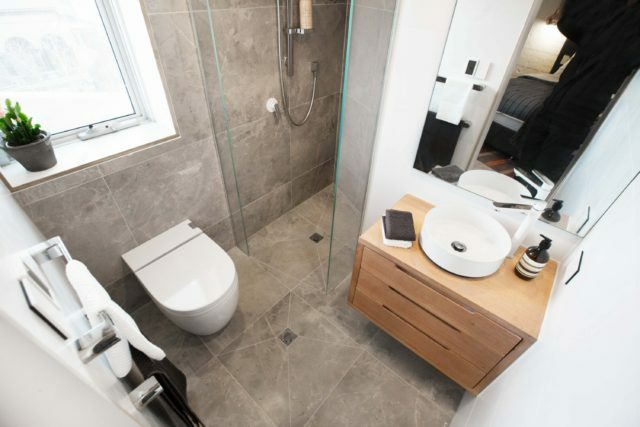 The en suite got plenty of ticks too, for the storage, spacious feeling, attention to detail and consistency with last week’s bathroom. 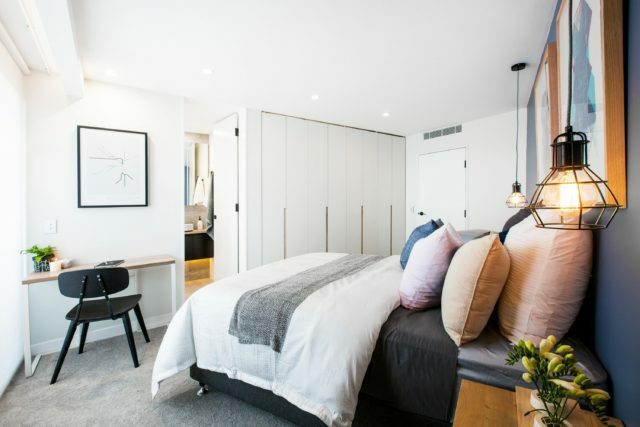 Shaynna said they were proving they were the right couple to get the penthouse. Did you agree with the judges this week? Which was your favourite? Dean & Shay’s room was too simple, and the art was too matchy – matchy. Too many cushions too!! I am going to go out on a limb here and say that there is no way Ebony’s room was worse than the two mums and Whitney & Andy. That was horrendous. So much mish mash. Sorry, it was ugly. Who puts a baby idea hanging rail for adults and that rug with the tassles? That’s just ridiculous. Remove the pressed tin and that room could be saved. 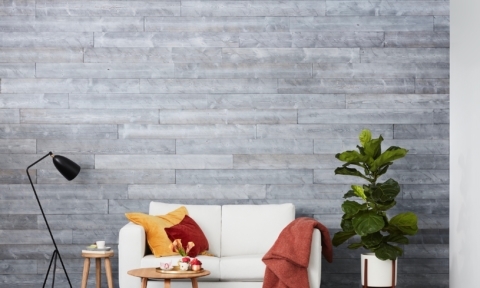 The rendered wall wasn’t for me – that reminds me of the old textural painting from the early 90s!!! Sorry I totally don’t mean to sound bitchy I think they are so brave going on there and putting themselves out there I know I couldn’t! !